UPDATE - Classes will resume shortly; however, we have a waiting list so please check your e-mail for a choice of dates and times. 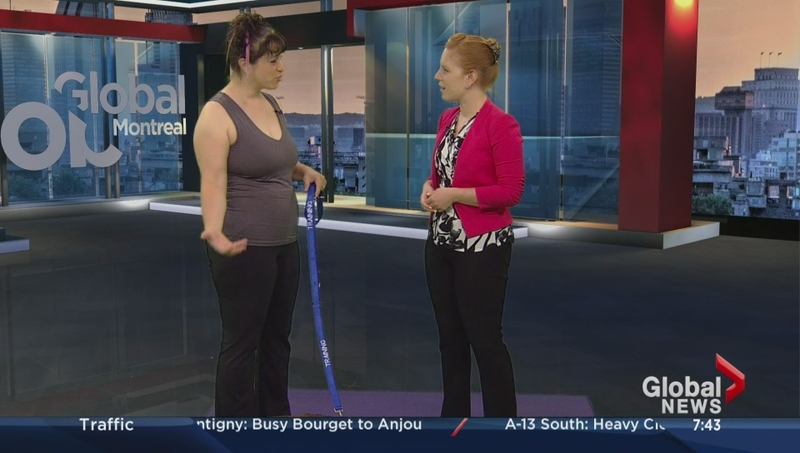 Do you want to practice yoga with your dog in Montreal? Gaby Dufresne-Cyr followed her yoga teacher course in 2006 and has reunited her two passions in order to offer Doga classes. In four weeks, her objective is to teach you various poses such as Balasana, Adho mukha svanasana, Urdhva Mukha Svanasana, Trikonasana, Utkatasana, Tadasana, and Savasana so you can teach and practice Doga poses at home with your dog. Gaby's goal is to improve your human-dog relationship, to prevent or reduce behaviour problems, and enjoy an enriching activity. Classes are offered at the Dogue Shop in Montreal. Doga is an excellent way to relax, laugh, and fall in love with your dog once again. The Dogue Shop is the only establishment in Montreal where you can learn and practice Doga with an animal behaviour specialist and yoga teacher. Our Doga approach does not use the dog as an accessory to yoga but rather teaches people how to practice yoga with their canine companion. 1 - A human yoga routine designed to relax and reconnect with the present moment. 2 - A dog training session. Each week you and your dog will learn a different pose. 3 - A relaxation and meditation session to help both human and canine decompress and enjoy each other's company. This program plan is copyrighted. Pre-requisite: yoga mat, comfortable cloth, a clicker (on sale at the Dogue Shop), dog treats, and a sense of humour. This class is designed for all levels of physical activity. Places are limited; consequently, reservations are required. For more information, you can contact Randi or Shannon for more information. We do have a waiting list, so please be patient. In the meantime, We invite you to read the following articles listed below. Here is an article about Doga in a French magazine from France. You can consult more articles, videos, or website in the media list below. Please register in advance as spaces are limited and we do have a waiting list.